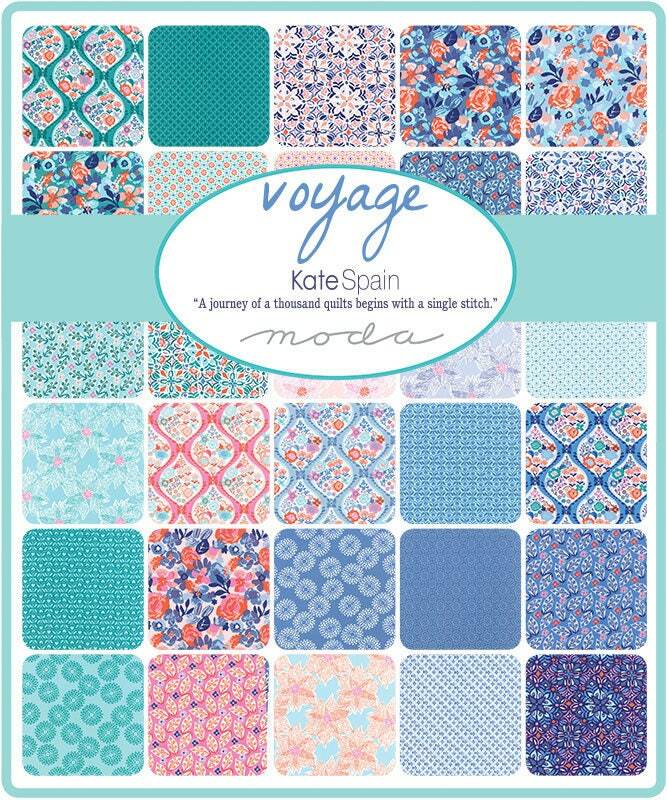 Moda Mini Charm Pack, "Voyage" designed by Kate Spain. Each Charm Pack consists of forty two 2.5-inch fabric squares, cut and packaged by Moda. 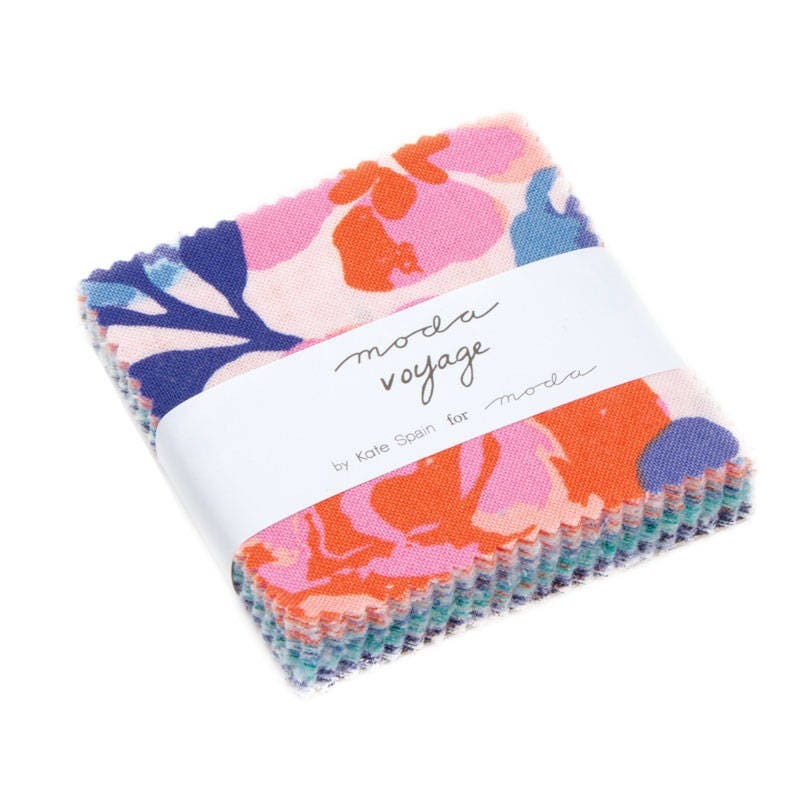 Each print of the entire Voyage collection is included, with a few repeats. 100% Cotton, Designer Quilting Fabric. 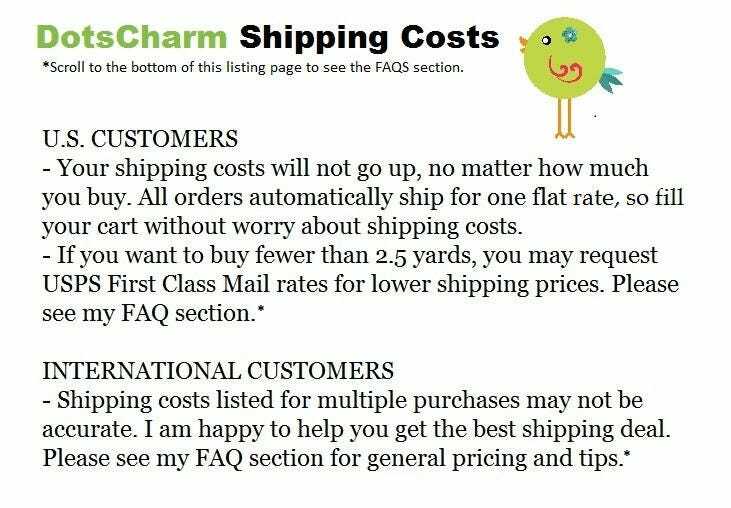 Unless you request custom shipping, all orders will be shipped USPS Flat Rate Priority Mail per order, regardless of the total amount. Click on the Shipping & Policies tab to see the current rate. Whether you order a single fat quarter or 20 or more yards, the total shipping cost will be the same. If you order 2.5 yards or less and want a cheaper First Class rate, please message me for a custom order or put a note in the comments at checkout, and I can refund you the difference in postage. I ship within one business day.